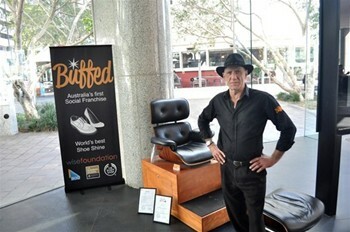 Individuals are able to ‘purchase’ a Buffed shoe shine stand and operate them as their own micro-business. Buffed business managers (artisans) also receive comprehensive training in the fine art of shoe shining, customer service skills and business training development. To ensure this opportunity is available to individuals who might not be adequately resourced to launch a new business, the Wise Foundation has developed tailored initiatives for this unique social enterprise. Buffed provides high-level support for Buffed Business Managers through business mentorship and dynamic marketing to ensure artisans have the best chance of creating successful businesses. While growing their own businesses, artisans develop skills, experience and confidence that will greatly assist them for any future goals or aspirations.